Have your ducts replaced and enjoy better air quality and increased efficiency for years to come. If your ducts have sustained damage or have significant accumulation of mold and allergens, replacing them is a decision that you’ll be glad you made.. If you wonder why some rooms never seem comfortable or how dust and dirt keep coming out of your vents, your ducts might be damaged or leaking. Old ducts that are collapsed or cracked lose as much as 30 percent of the conditioned air that passes through them. Leaky ducts also cause dust and other particles to accumulate in your HVAC equipment, which can, in turn, affect its operation. In addition, these leaks can cause your indoor air to become contaminated. Simply repairing or replacing faulty ducts can correct a number of problems at once. If the issues below sound familiar, have our duct replacement contractors inspect your ductwork to see if a full or partial replacement could be the answer. Ducts that pass through attics, crawlspaces, and walls are more likely to have problems or damage that can’t be seen. In some cases, ducts can simply be reattached to a vent or adjusted to eliminate kinks and tangles. However, if you have more serious problems, replacement might be the best option. Plastic flex ducts are prone to a number of problems, including damage, collapse, and contamination. Porous materials and insulation cannot be cleaned to remove mold or droppings from insects and rodents that have found their way into the ducts. Metal ducts can usually be cleaned. Porous ducts are more likely to need replacement. Duct system installation can correct many common heating and air conditioning problems. As a professional duct replacement contractor, we perform quality work with an emphasis on completing jobs quickly and with minimal disruption to your home. We are available to replace HVAC ducts in residential buildings, including mobile homes that may or may not have existing ductwork enclosed within the insulated underbelly. If you suspect that the ducts in your older home need to be replaced or repaired, our pros will be happy to take a look and give you a free estimate. We can also design and install custom ductwork for additions and remodeled spaces. 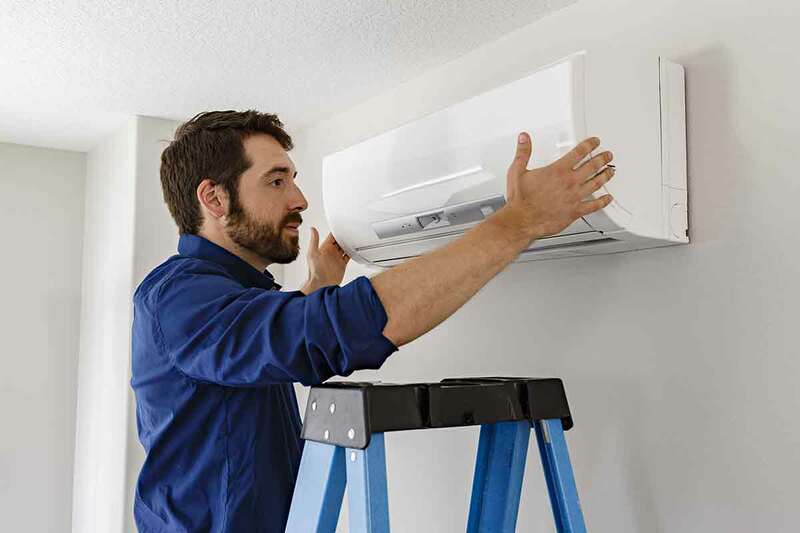 In addition to duct system installation, we can provide HVAC equipment and replacement services. Contact us today to see how new ducts can lower your utility bills and improve the air quality in your home. Don’t forget – we offer free, no-obligation estimates to customers in San Antonio and the surrounding area.